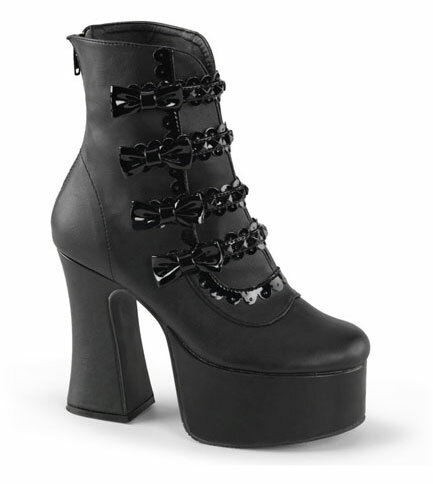 Black vegan leather look boots with a 4 3/4 inch chunky heel and a 2 inch platform. Front split ankle boot with multi straps and shiny bows. Pyramid studs and scalloped detail across the front. These shoes have a riding style back black zipper that make them easy to take on and off. I have never seen them in red. Answered by Rebecca on Tuesday 20 February, 2018.